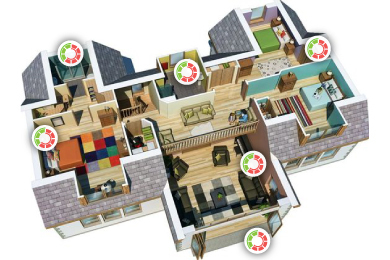 Let us help you design the Smart Apartment solution with the best, proven products which will interact with each other, learn from your and your resident’s behavior and provide with added safety, security and energy effiency. As one of the highest rated Smart Home installers in country you can trust us to design the Smart Home of your dreams. We find that a retainer allows us to spend the time and focus on clients need. We generally spend anywhere from 5 to 10 hours between consultations, site visits, research and proposal. As such we believe it is a very fair price for our time and experitise. Once we receive the retainer, we can generally produce the final proposal of the design within two weeks. This includes any additional consultations and site visits. Ofcourse, some projects are more complicated than others and we will inform of your specific timelines before we start. What should be my total budget for Smart Home? The simple answer is, IT DEPENDS. We will discuss your needs and goals with you, based on that and the solutions out there will present to you the top of the line package. 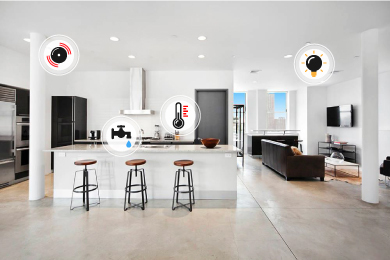 The beauty of modular smart home design, is that you can pick and choose the components and build out the smart home in phases and as suitable to your financial abilities. What happens after I accept you final proposal? If you are happy with our final proposal and accept it, we will initiate planning, scheduling and procuring of the technology based on the plan. Most of the project can be fully executed within a few weeks after the proposal is accepted.